Originally due to wrap-up last month, the Earned Recognition pilot scheme has been extended until February 2018. Launched in April 2017, the pilot was given 6 months to identify the most exemplar operators on UK roads. The DVSA, however, has decided to get more operators involved. One of the factors discouraging operators from applying for the Earned Recognition pilot could be the high-level requirements; while the standards are demanding, the DVSA stress that they are attainable. As a way of persuading more operators to take part, the DVSA welcomes queries from those running fleets that may not meet the whole criteria. Measure the data for all operator licences that are under their control. If the standards set out in the audit are met, the operator will be granted pilot status and will receive a unique identification number. If the standards are not met, the DVSA will support the operator where possible in creating an action plan to solve the problems revealed by the audit. This sounds like a lot of hurdles. And now, an operator may feel that they’ve been left with more questions than answers. Q: My drivers use analogue tachographs. Does this exempt me from the pilot? A: No. You can generate your data from paper tachos; if the data’s handled by digital means, you’re not disqualified from applying. Q: How important it is to have digital data handling systems in place? A: It’s critical. The scheme demands that its operators manage compliance data and generate KPIs digitally. This is partly because the reporting process is entirely digital. Q: What happens if I’ve no anomalies to report? 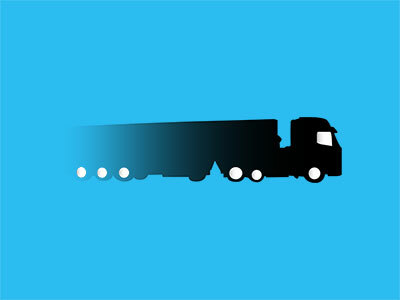 A: In this instance, a blank email will be sent to the DVSA. There’ll be no further correspondence between yourself and the agency until the next time your data is due. Q: How are anomalies graded? A: Whenever a piece of data has exceeded the tolerance, it’ll be graded yellow, amber or red. In each instance, an alert will be triggered in the DVSA system. Q: So, what happens if I exceed the tolerance? A: It depends on the severity of the breach. 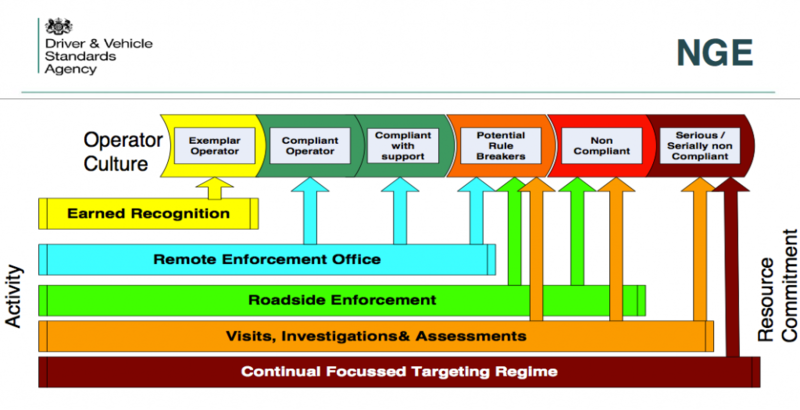 See the graphic above for a rundown of the DVSA intervention process. At this point you might be thinking, okay, got it, but – what’s in it for me? If you successfully complete the pilot, you will be automatically enrolled into Exemplar status when the scheme is implemented proper. So, the scheme has gone live, and I’m an Exemplar operator. What’s next? Gaining Exemplar status holds numerous benefits for an operator. No matter the size of the fleet under your command; with Earned Recognition, a one-man band could essentially share a tier of competence with a UK-wide, multi-depo distributor. As for the date on which the scheme will turn live, information is scarce. While it was originally pencilled in for early 2018, we predict that implementation will be pushed back to next Summer at the earliest. So, what’s next? If you’re interested, apply to be involved in the pilot.